Beach Albatros Resort is the ideal place for families and couples. Diving enthusiasts can enjoy the classes in the hotel’s dedicated diving centre, and can practice it in the Red Sea. In the hotel there is a water park with three outdoor swimming pools and slides, for children to have a great time. And in the meanwhile adults can play in the mini-golf, on the tennis court or just relax in the large spa with sauna. They also have a children's play area, and a games room with billiards for adults. In the evening, guests can have fun in the nightclub with DJ and karaoke, or have a cocktail in the bar. In the restaurants here offer delicious Egyptian and international buffet style food. The hotel offers free transportation to the private beach, where you can enjoy several water sports. 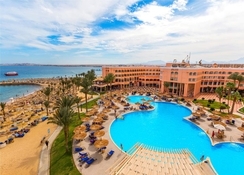 Beach Albatros Resort is located in Hurghada, next to the Red Sea. Nearby is the private beach where you can scuba dive as well as enjoy other water-sports. 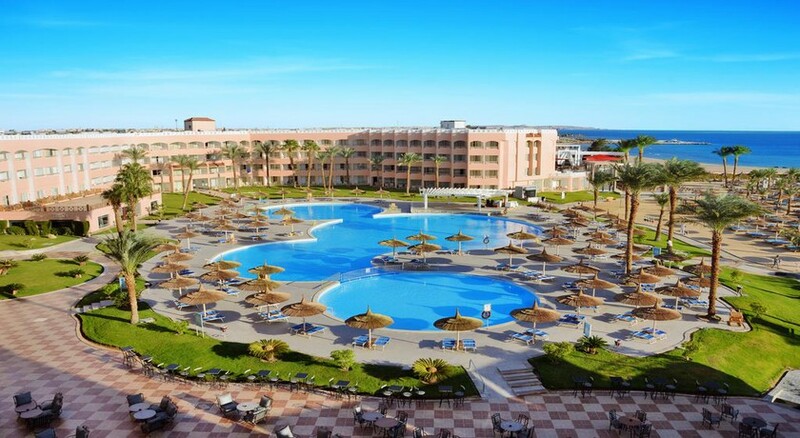 The city centre is 20 minutes by car, and the Hurghada International airport is only 11.2km from the property. Surrounded by a tropical garden, this top-rated 4-star resort offers 666 rooms and bungalows distributed across three floors. Each room has a balcony or terrace overlooking the Red Sea or the garden. The rooms of this hotel come with air conditioning, satellite television and a mini bar. All rooms have a full bathroom with free toiletries and a hairdryer. They offer great views of the sea or the gardens. Beach Albatros Resort offers kid-friendly buffets; special menus are available for guests along with continental buffet options. There is also an a la carte restaurant, a snack bar and a bar offering a host of cocktails, house spirits, beers and more. The facilities at Beach Albatros Resort include a hairdresser, a beauty salon and a beautiful spa. 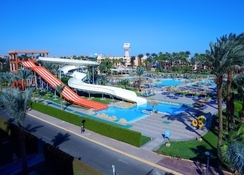 Visit the water park with three pools and slides, and the children's playground, for families. The green area offers several freshwater pools with free sunbeds, umbrellas and towels. For children, there are two separate children's pools with slides for that extra dose of fun. Thanks to the gently sloping beach with gentle waves, praised by guests. The hotel also offers meeting rooms for businesses, and banquet halls to host parties and varied events.